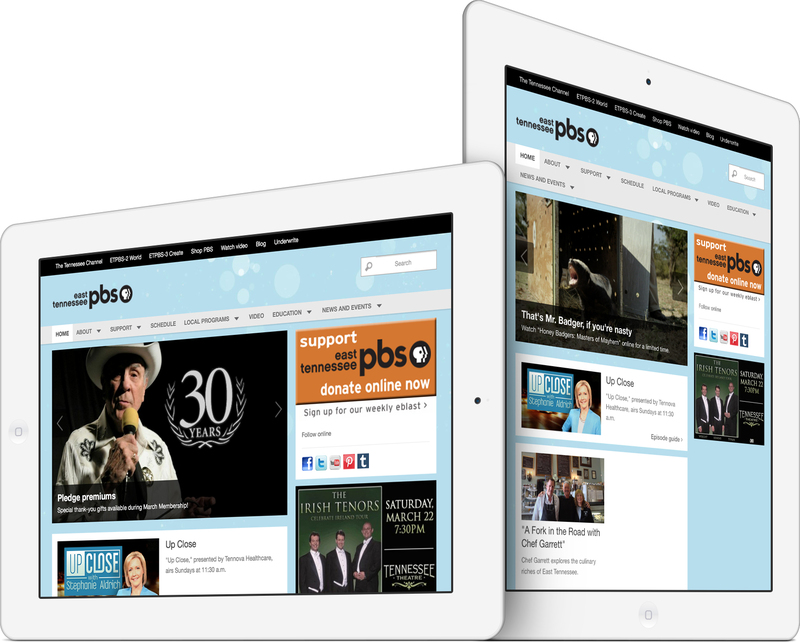 East Tennessee PBS is beautifully designed and built on a CMS (Content Management System) so the PBS employees can easily update the website’s ever-changing content. The donation page’s connection is secured with SSL encryption to ensure that all sensitive information is protected against hackers. 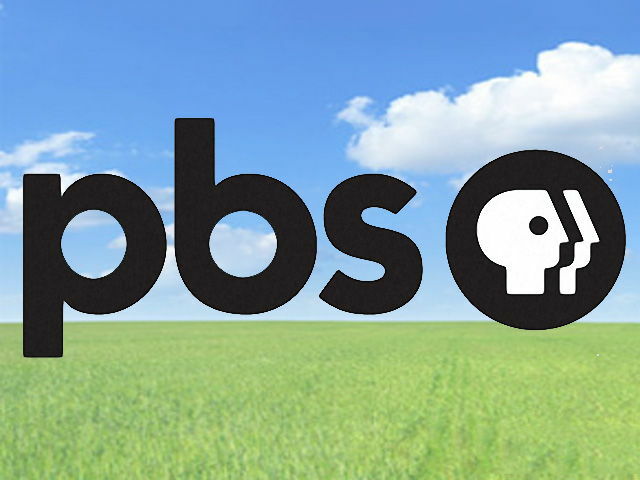 Pioneer Media provides hosting and management services for East Tennessee PBS and has established a great on-going relationship with them. 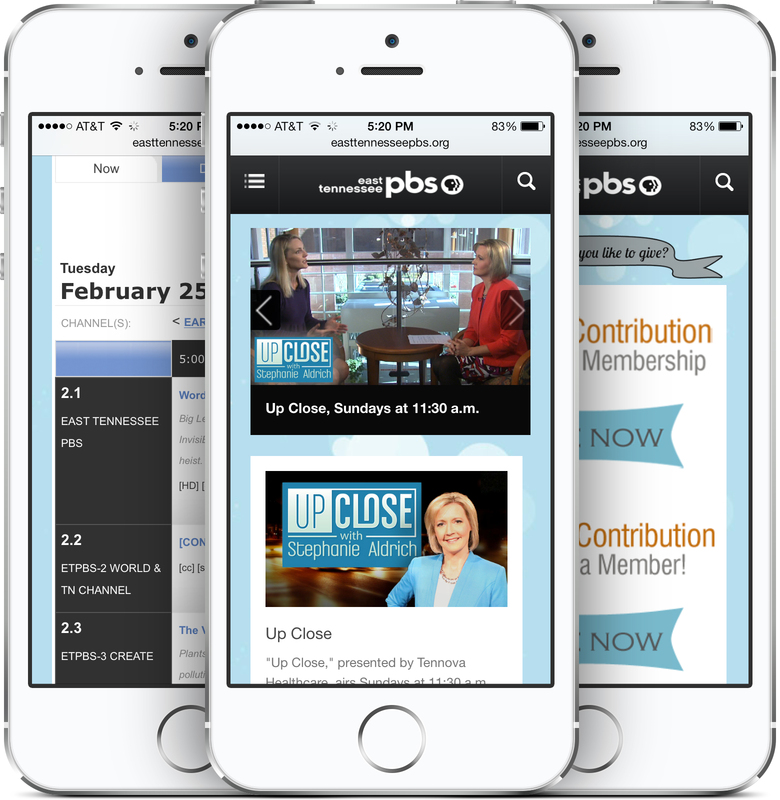 East Tennessee PBS is Knoxville and the rest of East Tennessee’s official source for local PBS information, tv schedule, online videos, and a donation page. This website securely accepts tax-deductible donations by credit card using SSL encryption. 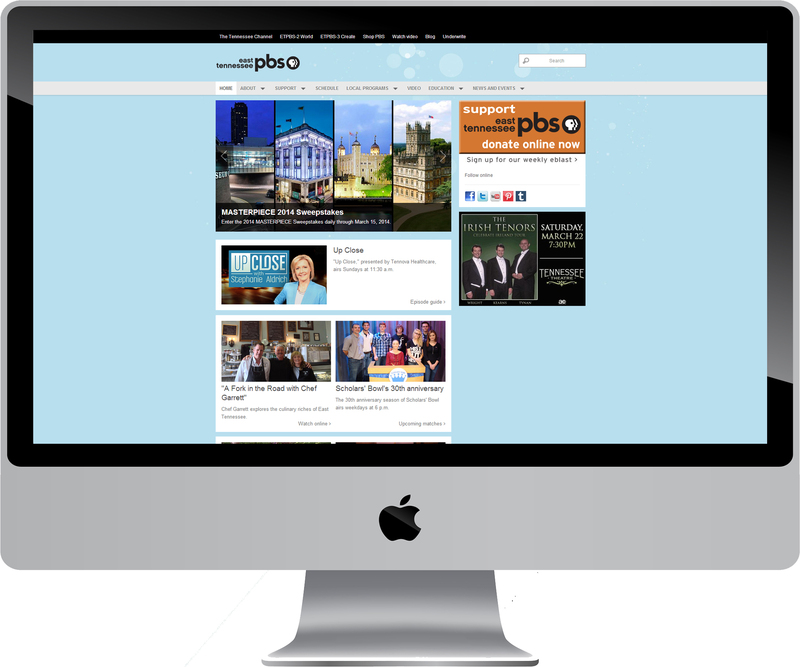 Pioneer Media is a web design, management and hosting company in Knoxville, Tennessee. We have been around since 2006 and have many happy clients in the area. Check out the rest of our portfolio. - A new website designed? - A better website than your current one? - Better search engine ranking? Like This Website?Let Us Help You Too!